Who else adds wheatgrass to their Protein Shake? Wheatgrass contains over 90 minerals, including high concentrations of the most alkaline minerals: potassium, calcium, magnesium and sodium. Just one teaspoon of Wheat Grass powder, weighing a mere 3.5 grams, is nutritionally equal to an entire spinach salad weighing a full 50 grams – it packs a punch! 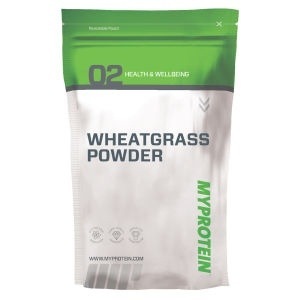 It also contains 19 amino acids, the building blocks of protein making this one of the most powerful wheatgrass benefits.